Following a lacklustre Consensus 2018, even though the market had fell, few altcoins had however escaped unscathed. This includes the TRON (TRX). TRON, which gained nearly 24% last week, is a blockchain infrastructure for a decentralized internet. 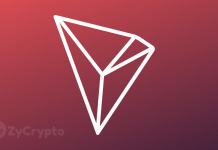 TRON (TRX) is founded by the Tron Foundation, which is a non-profit organization, located in Singapore and headed by Justin Sun. 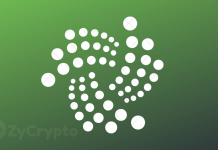 The strong performance exhibited by the altcoins, helped TRON to move above IOTA in market cap (i.e., $5.3 billion). This sudden shift in market made TRON the ninth largest cryptocurrency. TRON’s recent significant rise over the period of past couple of months could be attributed to be the consequence of some major reasons. One of the main reason for the rise could possibly be the anticipation of MainNet launch, schedule to occur next week. This includes an interchange between the present Ethereum ERC20 token for the MainNet token. The possible benefit of the shift is that the TRON could now handle 10,000 transactions per seconds where Ethereum could possibly do only 15 to 20 transactions per second. TRON Labs in a recent article that had focused on TRON’s YouTube Popularity, the group announced about the new development with regard to TRON’s network. The group announced that around 20 start-up teams are presently involved on TRON’s network. 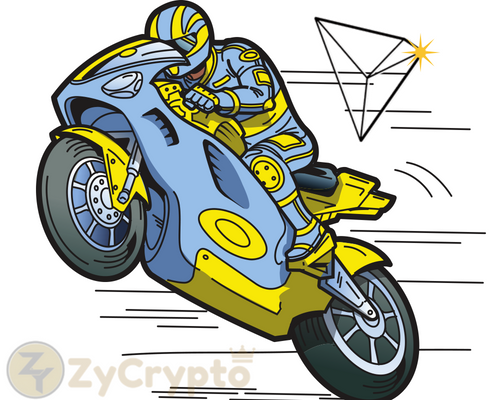 In the wake of the gaining popularity, there are speculations that in time TRON would gather more momentum. Owing to the new listings, TRON has largely benefited from the additional trading volume. On April 27, by trading on India’s largest cryptocurrency platform, Zebpay, they went live. And previously, TRON was listed on Malaysia’s first crypto exchange, Coinbene. 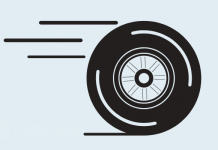 Introduction of in-platform decentralized apps (MainNet would offer a complete decentralised blockchain platform), Launch of Token Wallet and Blockchain Browser (this is hoped to provide a greater security to the holder), Great Voyage 1.0( aimed to provide communication among different blockchain platforms, and would be launched in the fourth quarter of 2018) and a Super Representative (SR) Election. The Super Representative Election would be one of a kind and would be conducted by TRON Foundation. Several organisations globally are expected to participate in the SR elections. The election would be to elect 27 Super Representatives. They would be tasked with representing about 1 million TRON community members together with computation and verification.